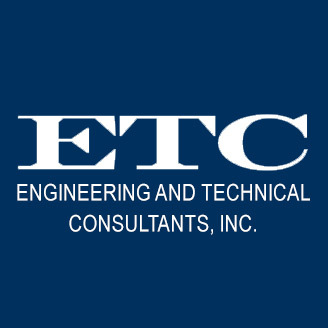 ETC is pleased to announce a forthcoming change in ownership. Since its inception, nearly 4 decades ago, Joe Shuffleton has been owner and president. Through his leadership, ETC has grown to be a highly-reputable engineering and architectural firm specializing in the restoration and rehabilitation of existing commercial structures in the Washington-Baltimore metropolitan area. Mr. Shuffleton successfully guided the growth of his team that now spans three, multi-state offices. Five individuals comprise the new ownership group. Mr. Shuffleton has, without reservation, come to trust and depend upon these induvial for many years. Chris Carlson: With over 30 years’ experience, the last 12 as our chief engineer, he is the key technical person behind our entire structural team. Mindy Maronic: With over 20 years of marketing & client relations experience, she has brought our company to the forefront of business excellence. Bobby Radcliff: The newest member of the group, with 10 years at ETC, he is also a talented, lead engineer with strong business acumen. Jeff Shuffleton: Our technology and administrative director, he has assured clients accurate and efficient company procedures for the past 15 years. Commenting on the transfer of ownership, Mr. Shuffleton states “As I prepare to step away, simply to enjoy the next juncture in life, I am fortunate to turn to my key employees who have played a pivotal role in the growth of ETC. It is these employees who will take over where I leave off; growing the company on the same guiding principles and business ethics upon which ETC was founded. I am proud of all that we have accomplished, and equally proud in the legacy and exciting opportunity I pass on to them and the entire ETC team”. ETC has no desire to be the biggest firm; however, we do strive to be known as the best. To that end, the needs of each assignment are analyzed and matched to the capabilities of our high caliber technical staff. We will not take on any project if we do not have the competence required or if for any other reason we are unable to meet client expectations. Joe Shuffleton will stay on for a period of time to gently guide the company through the transition. He will also serve as both a consultant & ambassador, watching ETC as it thrives under its new leadership.